The first tea is our Regular Earl Grey Tea in Fine Loose Leaf or Teabags. 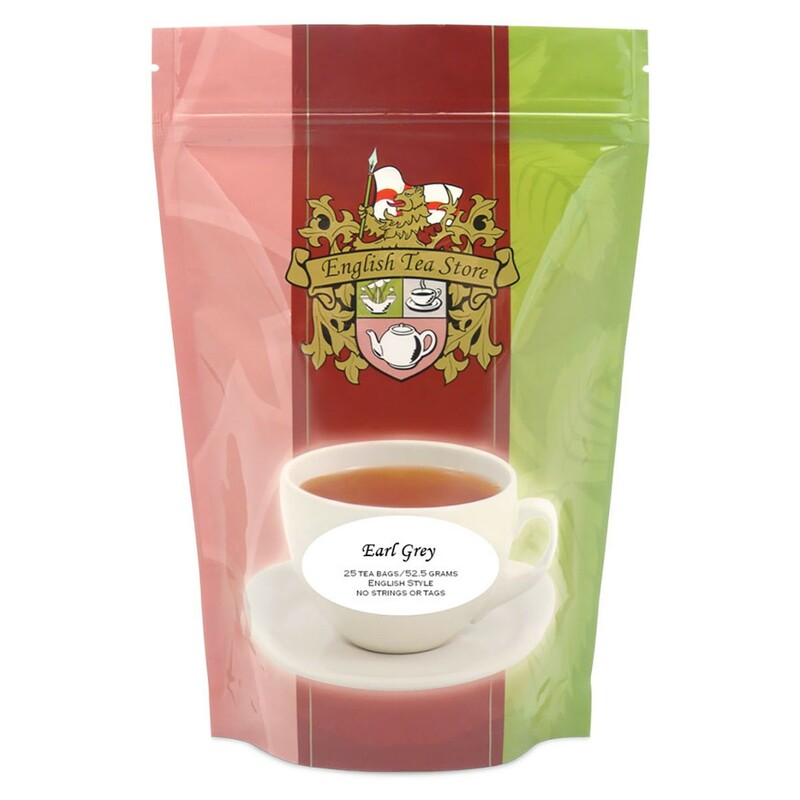 The Earl Grey Tea blend from English Tea Store is a blend of Ceylon and Indian teas. The tea receives its unusual and unique flavor from oil of Bergamot – which is a small acidic orange. The Bergamot orange is a cross between the sweet or pear lemon (Citrus Limetta) and the Seville or sour orange (Citrus Aurantium). The sour orange is native to Southern Vietnam. The Earl Grey Fine Loose Tea is available in 4 different sizes: 4 ounces, 8 ounces, 15 ounces, or 80 ounces. The Earl Grey Teabags are available in a 25 pouch, 25 tin, 50 pouch, 100 bulk, or 500 bulk. Curious about the benefits of drinking Earl Grey Tea? Good for your teeth – That’s right! Tea contains very high levels of catechin, which is an antioxidant that fights oral infection. Flouride is a naturally occurring component in Earl Grey. Promotes good digestion – Earl Grey can aid and relieve painful digestion, colic, and nausea. Fights anxiety and depression – Unfortunately, in today’s world many people suffer from anxiety, depression, or both. Maybe you’re looking for other routes instead of medicine? The Bergamot in Earl Grey has a calming effect and has natural aromatherapy qualities. Weight loss – Like most teas citrus teas, Earl Grey an induce weight loss. It is thought that calories are broken down into food for your muscles or released through the metabolic process. Try adding some extra citrus like lemon! Hydration (It’s Key!) – Hydration is so important for your body…and it’s not just because tea is made with water. Earl Grey has a high potassium content so it keeps your fluids in check. Moving on to our next July tea – Mim Estate in Loose Leaf. The Mim Estate blend from the English Tea Store has a distinctive “Muscatel” character with a hint of currant. 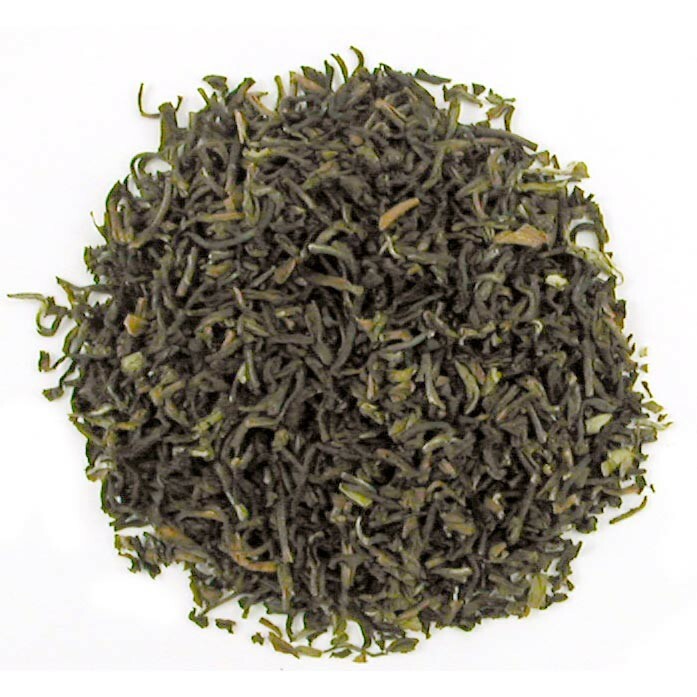 This tea is a 2nd flush Darjeeling and comes from the Mim Estate in Northern India. The genus of the Darjeeling tea bush is the Chinese Jat, which gives it the distinctive muscatel character. The fragrance and taste is a complex bouquet that travels right out of the cup. Some may describe the taste as nutty, black currant, or muscat grape-like. The final tea of the month is actually multiple teas in a sampler (What more could you ask for?!) – The Fruit Kick – Loose Leaf Sampler. This is great if you’re looking to try something new and adventure out of your safe zone. Each sampler pack comes with 1 ounce of each of our favorite fruit flavored loose leaf teas: Apple Spice Black Tea, Blackcurrant Black Tea, Pomegranate Lemon Black Tea, Wild Blueberry Organic Tea, and Florida Orange Rooibos Tea. We recommend brewing in water, that has been brought to a boil, for 3-5 minutes. Okay – I think we’ve given you a lot to think about. Tell us your favorite flavored tea! Hmm Nice Post, It’s really a July Tea of the month.